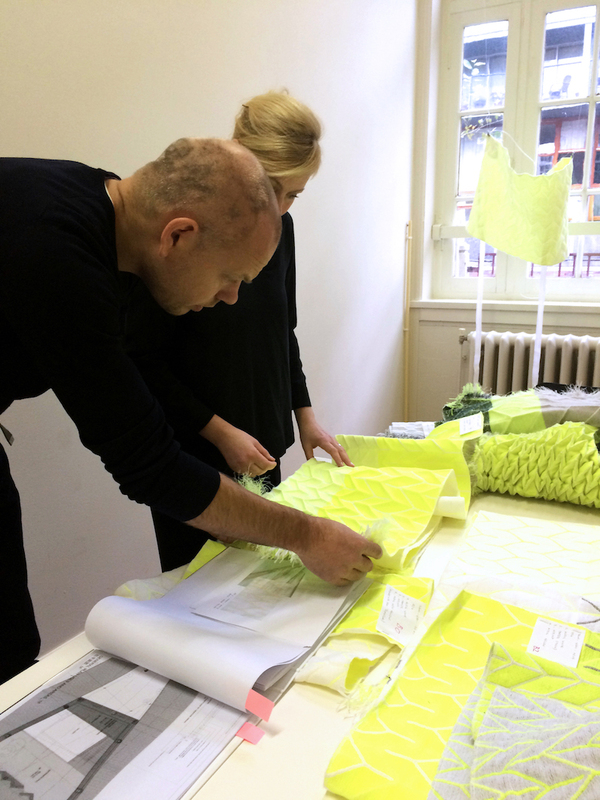 as textile architects, studio samira boon also works in an open office space. the designers believe these spaces encourage cross-disciplinary collaboration, increasing exposure to different kinds of expertise, accelerating creativity and innovation. but to avoid stress and low productivity, sufficient attention has to be paid to acoustics. 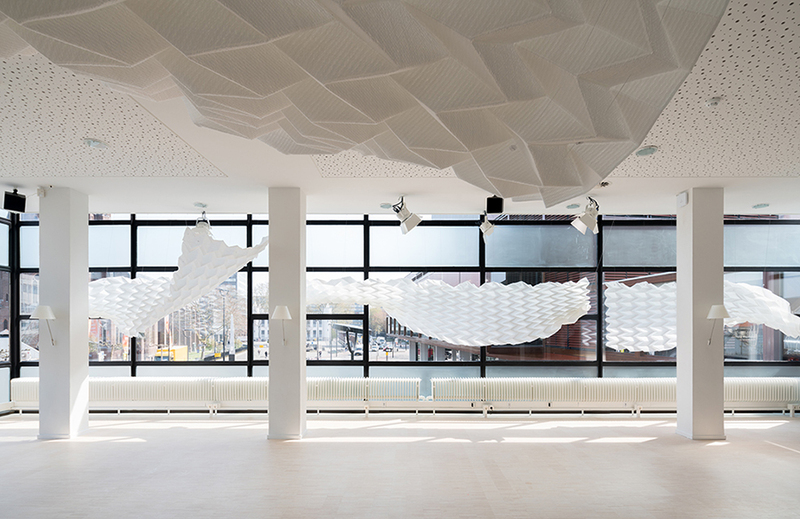 specialized in architectural textile applications, samira boon collaborates with interior architects to advice on acoustics and spatial solutions, from office space to theater hall projects. 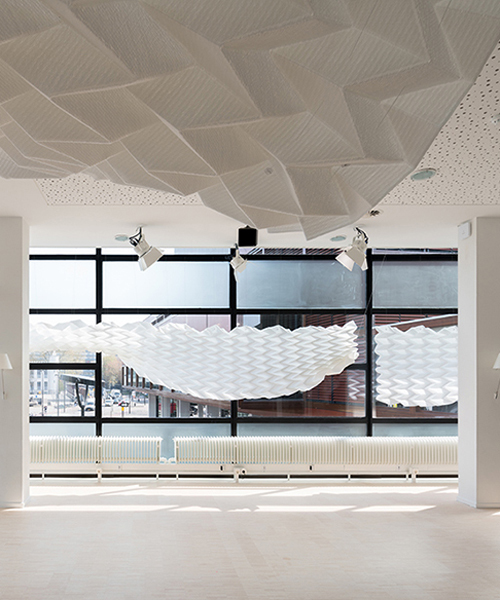 while doing material research for offices including zwarts & jansma architects, tom postma design and UNStudio, the architects always start from the presupposition that acoustic materials can serve so many more functions than simply sound absorption. the japanese use the word miryokuteki hinshitsu or ‘enchanting quality’ referring to the aesthetic appeal and emotional relation to an object. similarly, dutch based textile design studio samira boon believes acoustic materials can be employed to create identity, for their visual appearance or to make emotional impact. ‘10.800 horizons’ is a large-scale textile artwork at the holland boulevard, a lounge at amsterdam schiphol airport designed by NEXT architects. as an acoustic element it also strengthens the identity of the lounge. moreover, translating an abstract, archetypical dutch landscape into 10.800 horizontal yarns, the acoustic artwork invites to be touched. well performing acoustic elements are approached as an integral part of the design of an interior. they embody a soul and can really add value to the space. 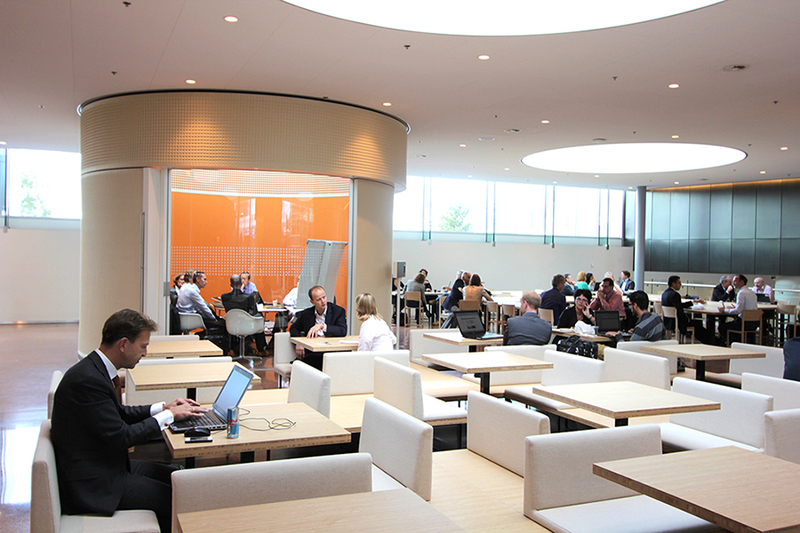 our contemporary flexible working habits, often require a dynamic approach to office spaces. 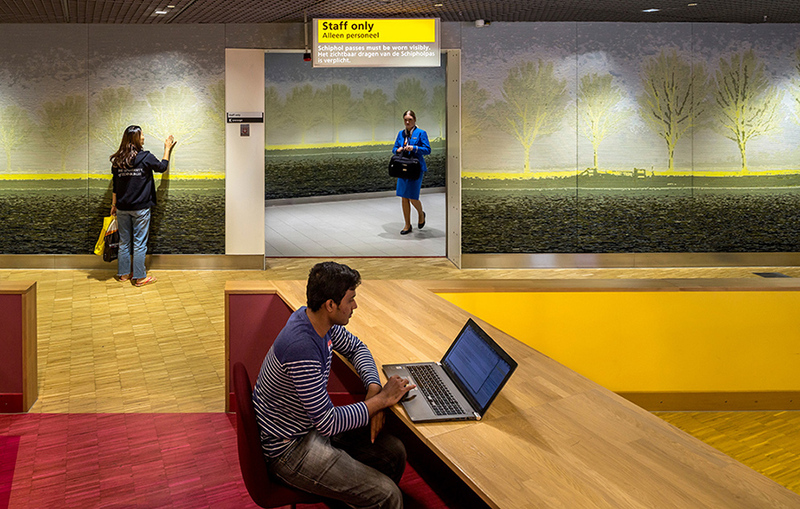 healthy work environments are flexible like natural systems. in collaboration with jarrik ouburg (HOH architects) and luuc sonke, samira boon studied how to create spatial diversity and private spaces within a shared environment. 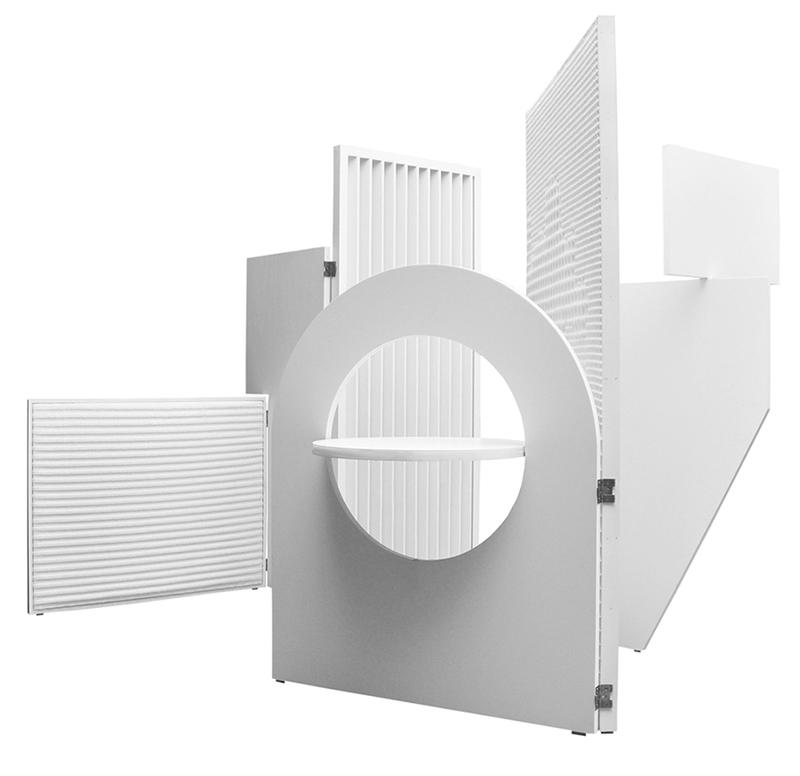 this resulted into the development of a series of multi-functional folding screens: ‘paravent’. 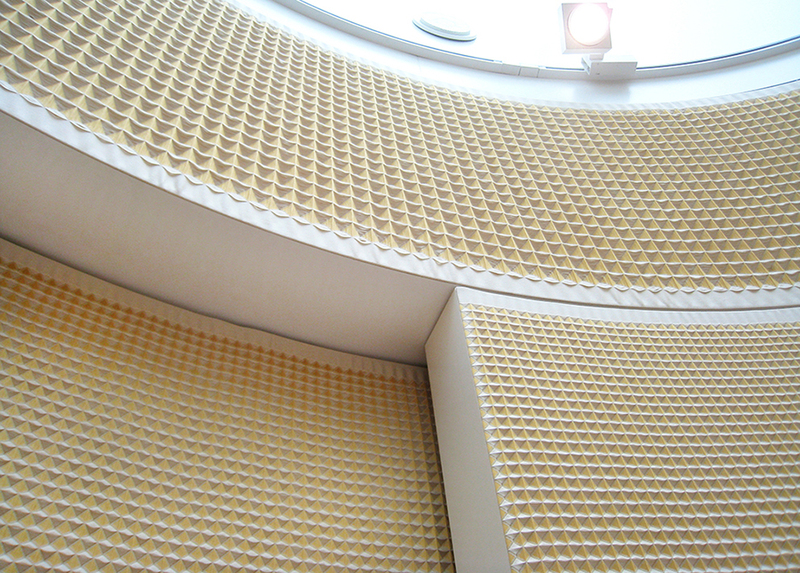 instead of a static acoustic panel, paravent is an inhabitant with its own character. each part of the folding screen has its own acoustic properties, functionality and tactility. when thinking about acoustic elements, always take into account and accommodate our ever-changing needs and work-habits. surfaces reflect, diffuse and distribute sound waves. their texture is therefore of great influence on the distribution of sound. a folded surface, because of the different angles and inclinations, scatters sound across the room more evenly. this is what gives the textile installations at theaters tilburg their unique combination of aesthetic and acoustic damping qualities. the installations of 3D textile are inspired by traditional japanese origami. 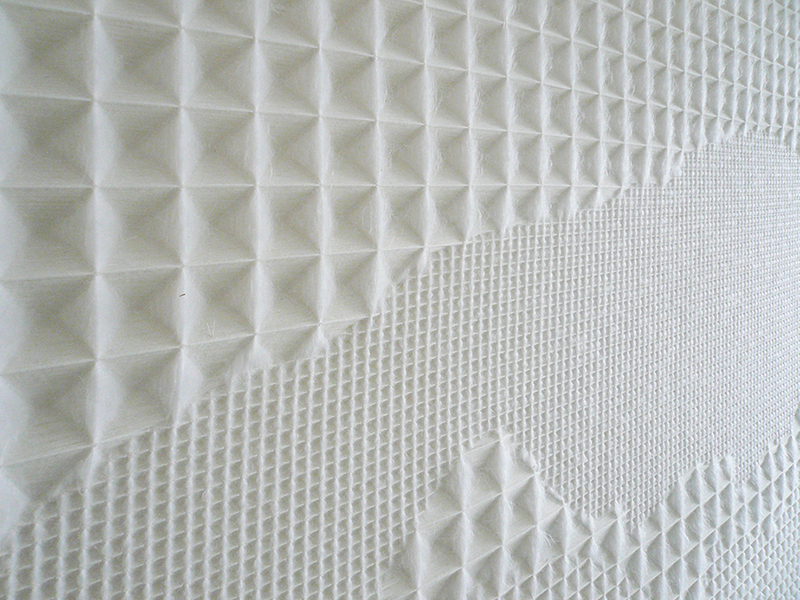 using new techniques of digital weaving, the folds are incorporated in the surfaces to afford natural movement characteristics as well as effective acoustic diffusion. they may be installed as a colorful, prominent, visual design element, or seamlessly blend in with their surroundings. 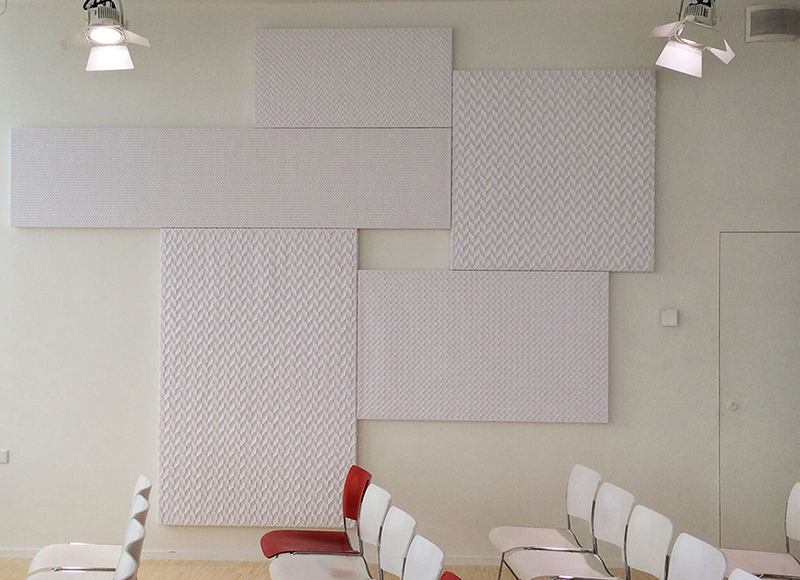 acoustic elements become tactile, flexible and influence the way we experience spaces. how can we create private areas within a mixed used space? 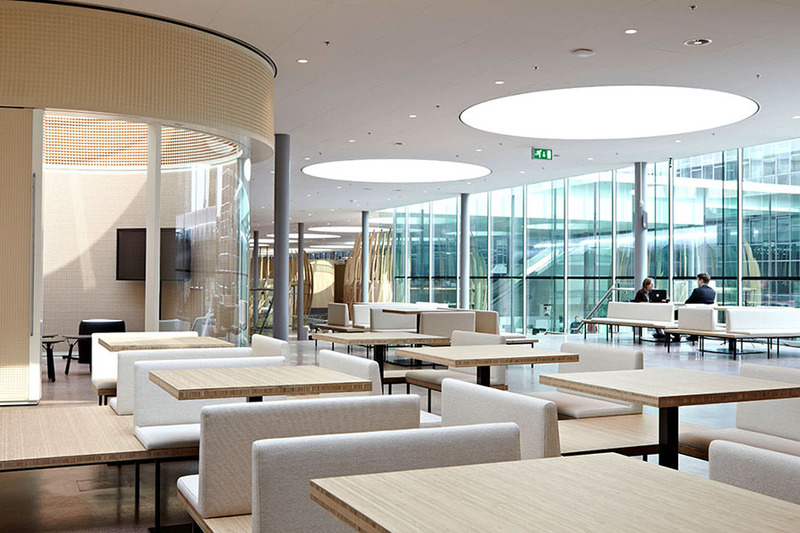 at the headquarters of dutch multinational rabobank in utrecht by NEXT architects, an acoustic challenge was the design of flexible workspaces and multifunctional meeting rooms in a notoriously noisy space: the restaurant. the solution consisted in three round, freestanding cylindrical units. these meeting rooms are not divided by hard shells but rather soft furnishings. fashioned out of sliding walls, the barrels form a complete sound barrier when closed, as they are covered in 3D textiles inside and out. installations with convex or curved surfaces are especially beneficial in difficult environments with complex acoustic needs. the shape of the object allows for a complex distribution of sound waves and further acoustic optimization. the era of the open office plans presents new spatial needs and challenges. 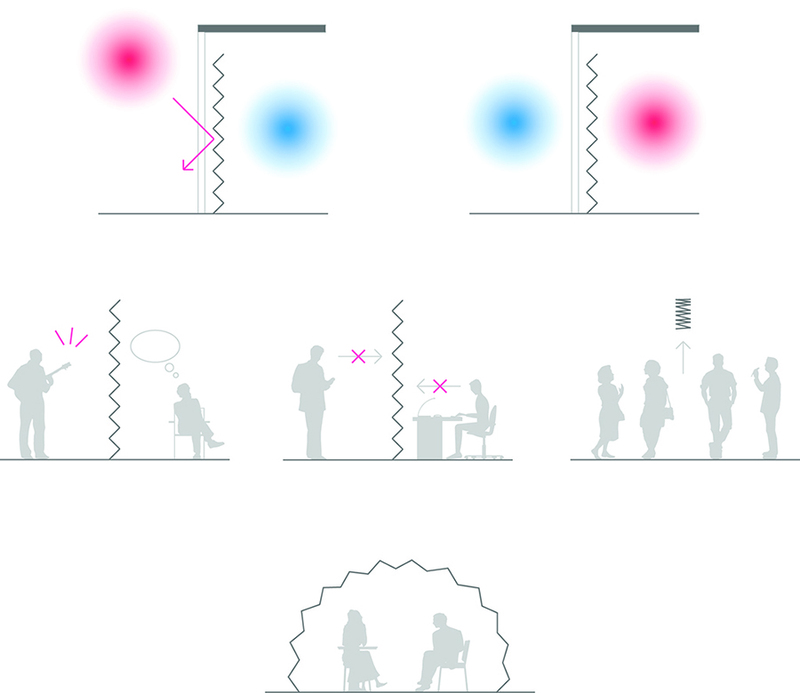 acoustic properties have to be combined with the ability to accommodate flexible, collaborative working habits. as the tips and examples above show, this required a flexible and creative approach to the interior design of offices. 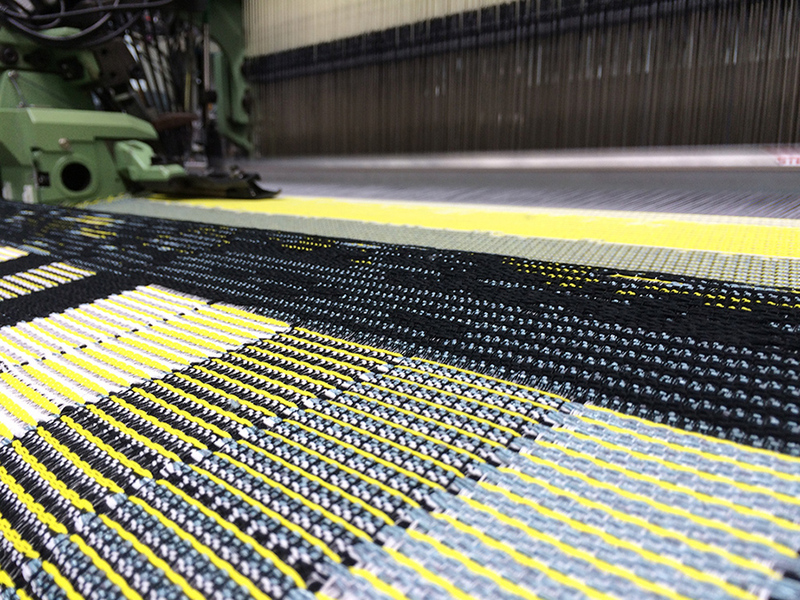 3D textiles are an example of a sound absorbing materials that can be designed and engineered to suit the specific needs, while their tactility influences the way experience spaces. experimenting with new materials and structures generates unexpected solutions.